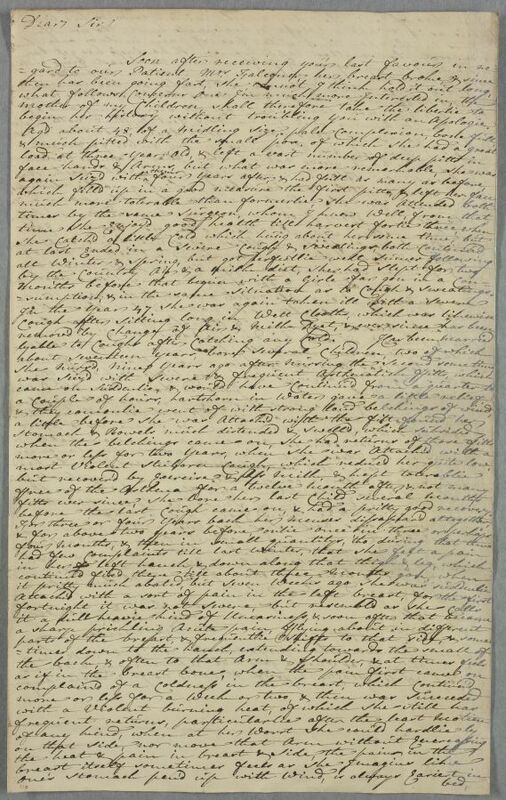 Letter from Thomas Duncanson, chiefly concerning his wife: her medical history since childhood, and her current respiratory ailments, problems with wind, and pains in breast, haunch and stomach. There is a brief update on Mrs Falconer, whose "breast broke" and who is probably not going to "hold it out long". 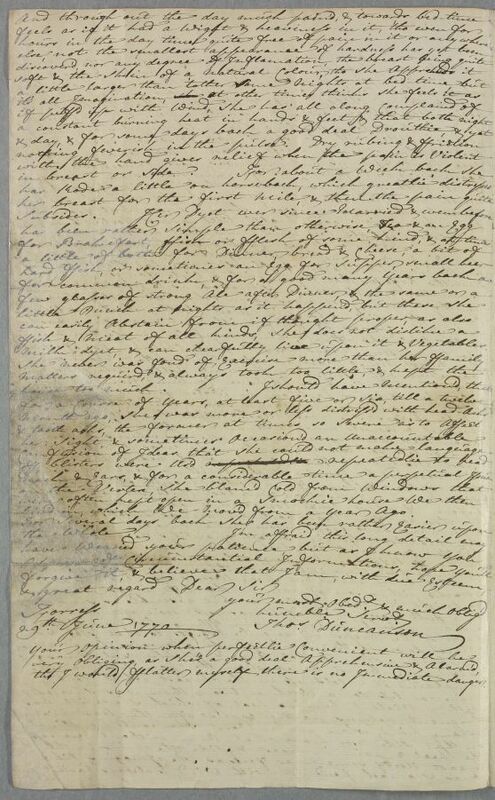 Summary Letter from Thomas Duncanson, chiefly concerning his wife: her medical history since childhood, and her current respiratory ailments, problems with wind, and pains in breast, haunch and stomach. There is a brief update on Mrs Falconer, whose "breast broke" and who is probably not going to "hold it out long". Case of Mrs Falconer, with a "Schirrhus of the Breast". begin her history without troubling you with an Apologie. sumption, & in the same Situation as to cough & sweatings. before the last cough came on, & had a pretty good recovery. milk dyet, & can chearfully live upon it & vegetables. liv'd in, which we mov'd from a year ago. tho I would Flatter myself there is no Immediate danger. 1: i.e. 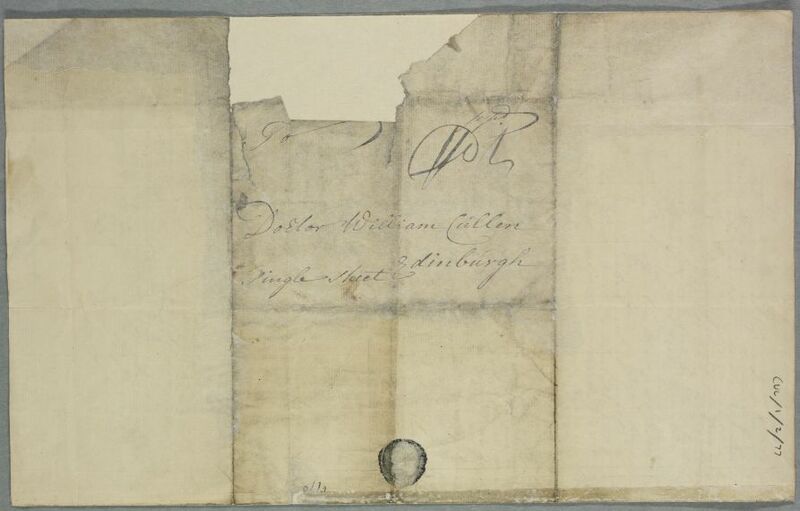 "the autumn of 1743", "harvest" being a Scottish idiom. 2: Scots variant of 'haunch'.